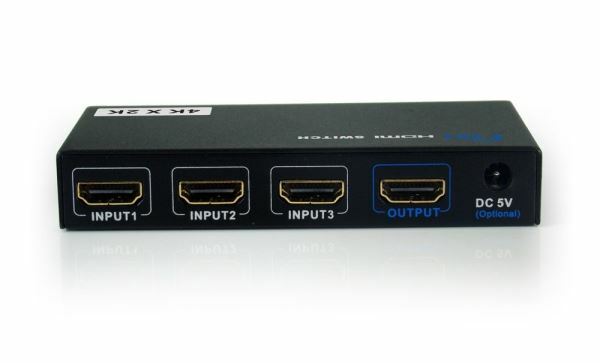 Share your HDMI sources with a single HD monitor. 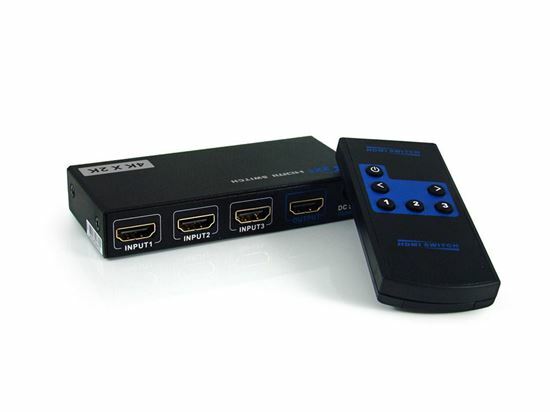 This 3x 1 HDMI Switch allows you to switch between 3x HDMI sources (set-top box, DVD players, video game stations, etc.) and your HD monitor. This switch passes both digital and audio signals through the HDMI ports and supports HDMI resolutions of up to 4K2K. It is powered by HDMI cables and ensures high-quality signal transmission as well.